Lebanon has long fascinated me, both as a country and as a wine producer. My wine interest was first sparked 30 years ago when the company that I was working for listed a Lebanese wine. The whole idea seemed exotic beyond belief and completely off the wall, but then I tasted it and the 1977 Château Musar totally won me over and I have loved the idea of Lebanese wines ever since. Another thing that captured my imagination about Lebanon was when I heard about the ‘Zagwill’, a fisherman’s song from ancient Phoenicia – which is now Lebanon. Carved into a tomb near Biblos this is believed to be the oldest song lyrics the human race possesses. These two things struck a chord with me and made me determined to see Lebanon one day and to learn something about this fascinating part of the world. So, recently when I was invited to Beirut to attend the Horeca Food and Wine Show and to judge at the Horeca Wine Competition I leapt at the chance and I enjoyed every moment. I had some wonderful experiences, met delightful people who seemed only too happy to show me their stunning country, enjoyed some superb meals and tasted many excellent wines. 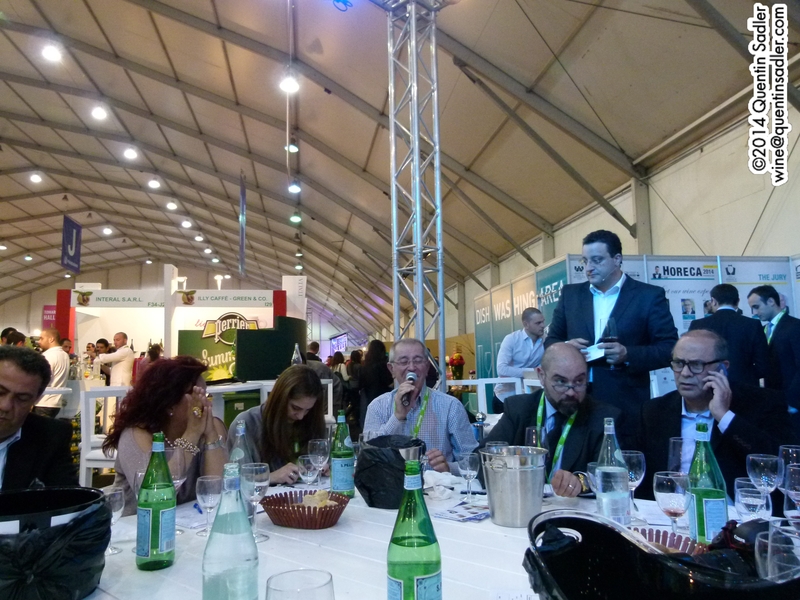 The Horeca Show during the round table wine discussion. The fair was terrific too. It is an annual showcase for Lebanon’s food and drink industry and as well as boasting hundreds of stands showing off the products of the region, there were chef’s competitions and cocktail making competitions and the wine competition with which I was involved. 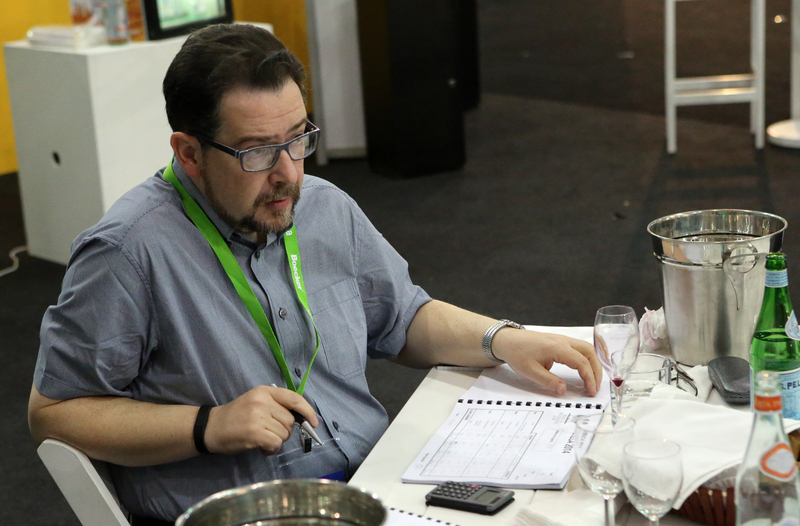 Me in a thoughtful moment during the wine judging at Horeca. Photo courtesy of Paul Op ten Berg. I know that technically Lebanon is in Asia, but when you are there it doesn’t feel so very different from the European countries of the southern Mediterranean. In fact apart from the Arabic script on the signs, Lebanon often reminded me of Spain, Greece or Sicily. Beirut and the other towns I saw seemed chaotic and boisterous in much the same way as Seville or Catania in Sicily. The landscape too was very similar to these places and of course the food has a lot in common with Greek cuisine and I even noticed some similarities to Sicilian cooking as well. The national dish is kibbeh, which I love, and if it isn’t a first cousin to Sicily’s arancini then I would be amazed. I suspect this European feel is partly because Lebanon has a mixed population of Muslims and Christians and enjoys a complex system of power sharing to ensure that no single part of the community dominates the other. As a consequence the place seems very free and easy to the casual observer with alcohol being readily available, lively restaurants and street life with attractive bars everywhere. In order to preserve this balance no official census has been taken since 1932, in case they discover there is a higher proportion of Muslims or Christians than they had thought. It is strange, but true, that on returning to London I saw more Muslim women wearing head scarves than I had in Lebanon. I found it very interesting that despite France only governing the country for a little over 20 years, 1920 – 1943, French is spoken everywhere and the French influence lives on in almost every aspect of life. Other than the badges on the customs officers uniforms, one of the most obvious examples is the wine names. All the wine producers are Domaine this or Château that and the wine styles often have a very French feel to them too. We tend to think of Lebanon as a new wine producing country, but the Phoenician’s were among the world’s first maritime traders and exported wines from Tyre and Sidon all over the Mediterranean world and so helped to spread wine to western Europe. This trade continued well into the middle ages when the territory we now call Lebanon was briefly controlled by Venice. 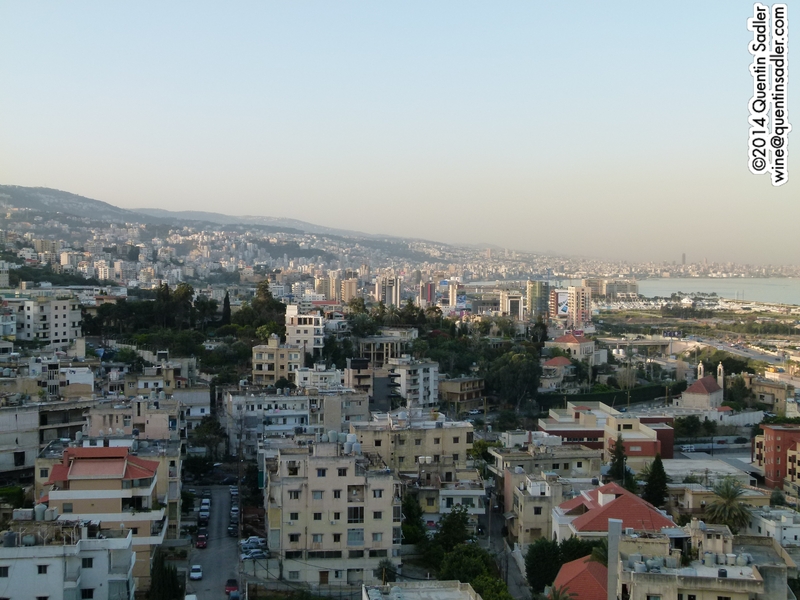 Lebanon’s civil war ended in 1990, so the country has enjoyed over 20 years of relative stability punctuated by sporadic turmoil caused by their neighbours – either directly or indirectly. I was told many times that Lebanon is fortunate in everything, except its neighbours. As Lebanon borders Syria and Israel, you can see their point – how unlucky can one country be? This stability has been enough for wine making to really start to flourish and for the longer established producers to consolidate the markets for their wines. If Lebanese wines were a novelty thirty years ago, they are much more normal today. Over the last ten years or so wine drinking has become much more the norm inside Lebanon and this too has helped growth. Sadly though, with some exceptions, I was told that the local wealthy almost totally ignore Lebanese wine and assume that imported wines are inherently better. One evening at dinner – at the excellent Mario e Mario Italian trattoria – I tried to wean two Beirutis off their imported French wine and on to the far better value local tipple. Sadly I failed, but they promised me that they would try more Lebanese wines in the future and not just take it for granted that foreign is better. On the subject of restaurants, I feel that I should tell you about two other Beirut eateries that impressed me. 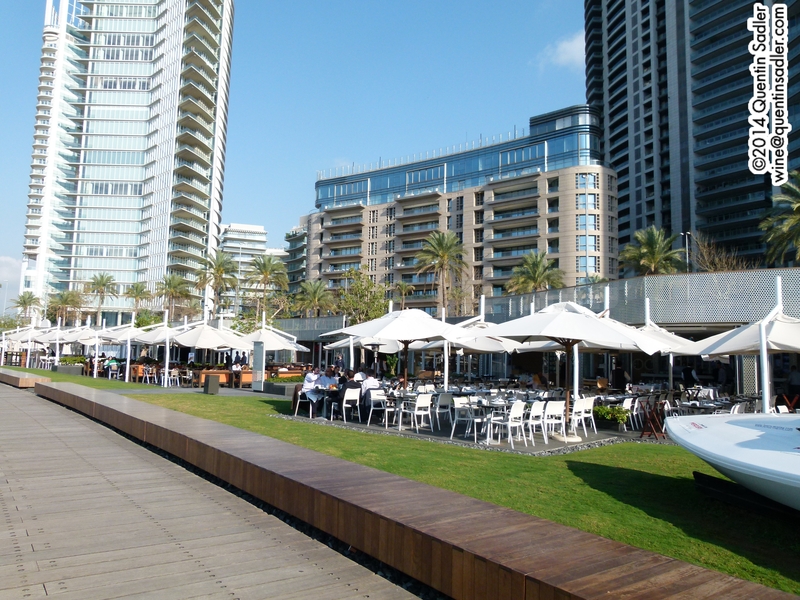 Babel serves superb Lebanese food in a setting that takes your breath away. Built to look like a ruined biblical tower of Babel it resembles a set for a D.W.Griffith epic. I was also very taken with the more casual Al Falamanki on the Damascus Road. Although only a few years old it had a very traditional feel with courtyards and comfortable rooms furnished in different ways. When we were there the joint was jumping with happy diners of all ages together with groups of men drinking arrack, playing backgammon and enjoying their hookahs. It was so atmospheric I could well imagine them filming parts of a remake of Lawrence of Arabia here, oh and the food was delicious too. 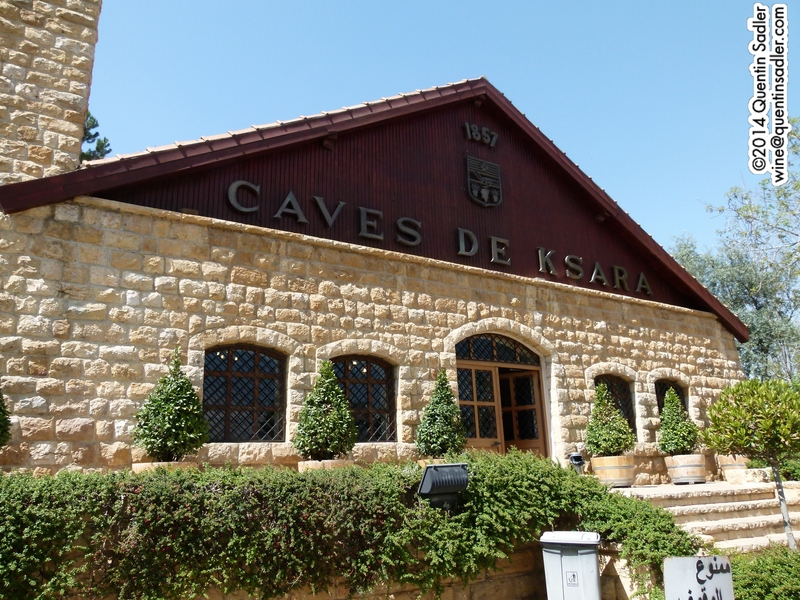 The oldest wine producer in the country is Château Ksara which was founded in 1857 by Jesuit monks who quickly recognised that the Bekaa Valley was a suitable place to grow grapes and brought in a trained viticulturist monk to create and tend their vineyards. His plantings of Cinsault, together with those at the nearby Domaine des Tourelles in 1868, started the Lebanese wine revival which is still with us to this day. 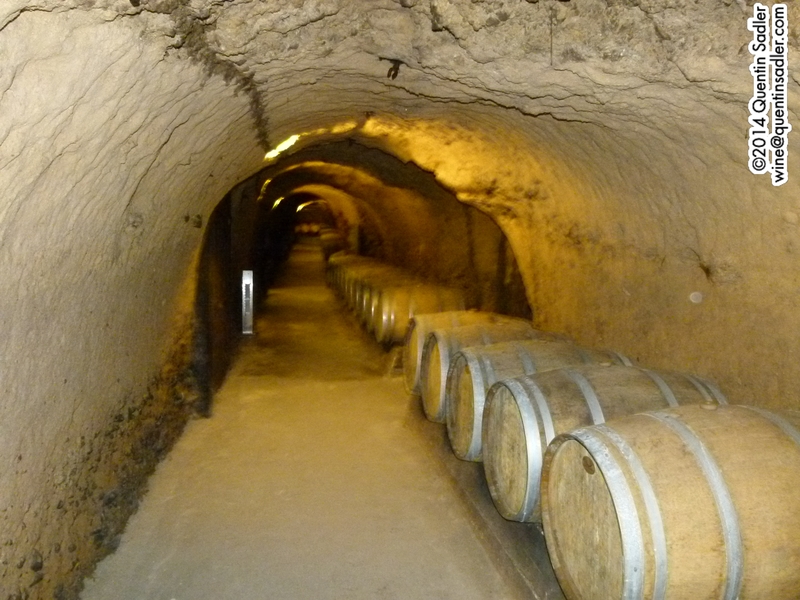 Ksara had a bit of luck in 1898 when an extensive Roman cave system was discovered underneath the winery and it was expanded and repaired to become Lebanon’s only natural cellar system. It keeps at a steady 12˚C so is perfect to mature wine, as well as being an amazing place to visit. The caves at Château Ksara. The First World War ended with Britain having defeated the Ottoman Empire which had ruled Lebanon for hundreds of years. The region was given to France to govern as a League of Nations Mandate and French administrators and soldiers soon arrived who expected to drink wine as part of their every day diet. This must have given real impetus to the fledgling wine industry and expansion quickly got under way. Château Nakad, the modern Bekaa pioneer was founded in 1923, while Lebanon’s most famous winery, Château Musar was founded soon after in 1930. Fitting the same pattern, Almaza, the country’s leading beer brewer also dates from this time. 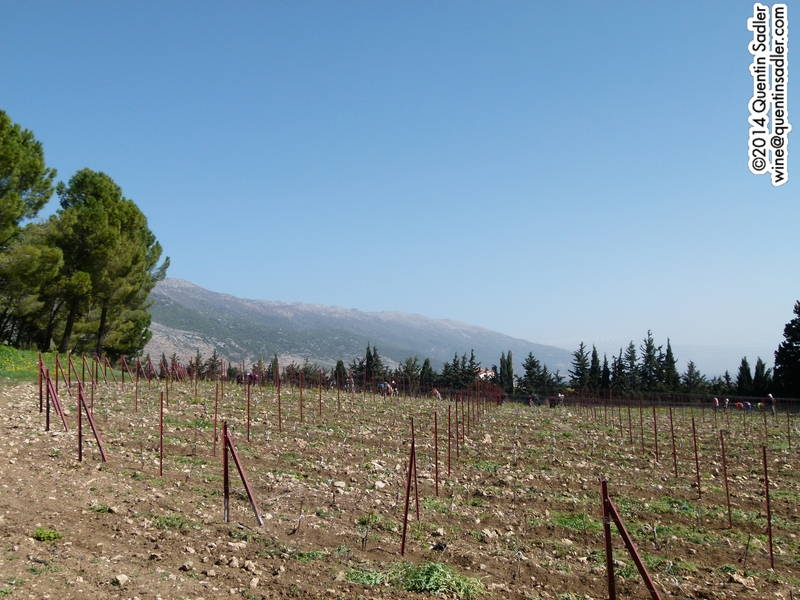 All the early wine production was in the Bekaa Valley in the east of the country and although there are now some other regions, it remains the centre of production. 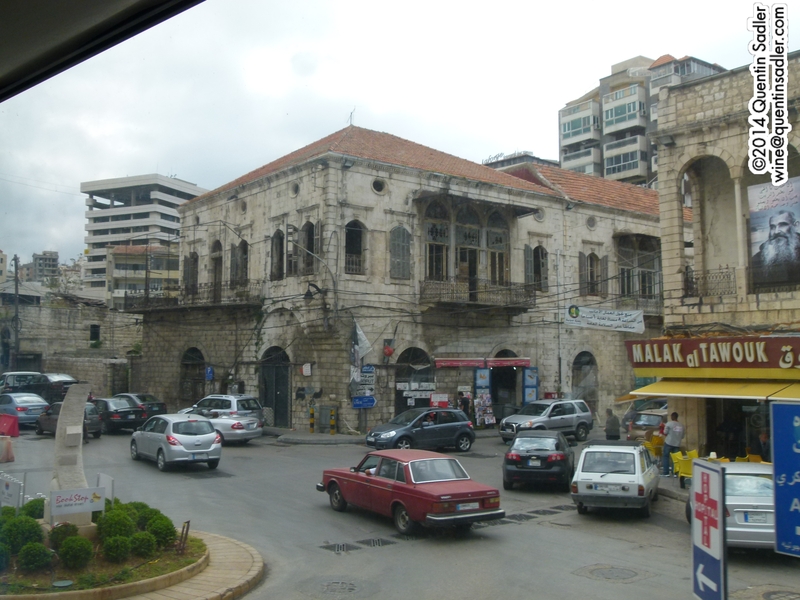 This was partly because it was already established as the principal agricultural region of Lebanon. Given that we think of wine as flourishing in areas where nothing else will grow, I was astonished to see just how green the Bekaa is. I was expecting a hard, biblical landscape of scrub – a desert almost – but instead found a fertile valley full of fruit and vegetable production. Lebanon has a hot climate, with some 300 days of sunshine a year, so although ripeness is not a problem, excessive heat is and fine wine production would be very hard if the country was not so mountainous. 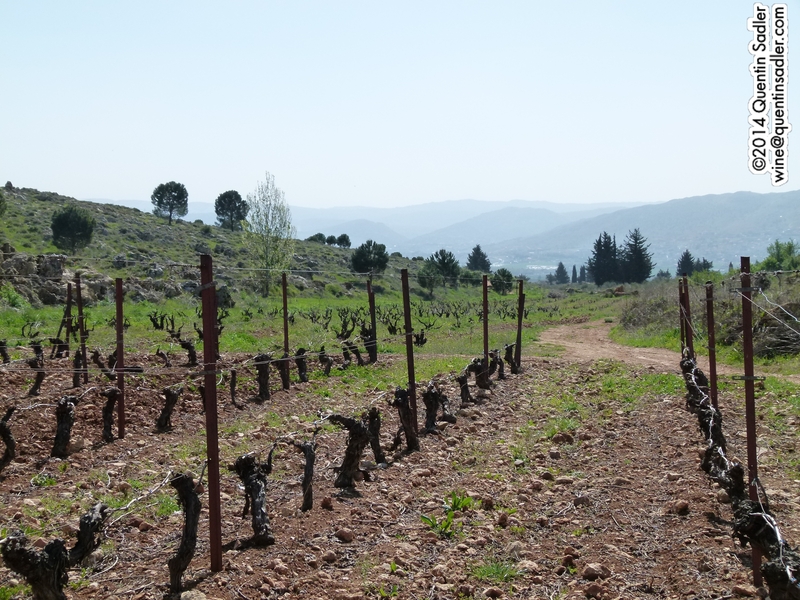 Although the Bekaa is a valley – sandwiched between the Mount Lebanon and Anti-Lebanon mountain ranges – it is very high with most of the vineyards planted at around 1000 metres above sea level. The finer wines tend to be produced at higher altitudes and increasingly the new plantings are edging up to 1100 – 1200 metres. Up there the air is cooler allowing for slower ripening and better retention of acidity, freshness and balance in the wines. Large temperature drops between night and day conditions also helps retain acidity and freshness in the grapes. 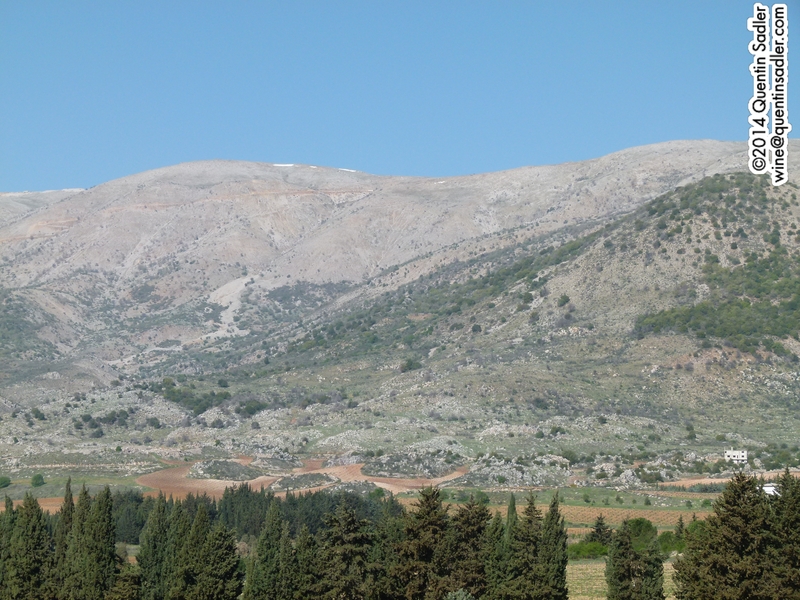 The Bekaa is also blessed with ample water from the snow melt running off the two mountain ranges. There is huge variety in soils, but they tend to be limestone, with some sandstone too, so are generally well drained, but can offer great variety of colour, texture and weight – which is partly why all styles of wines can be produced here. 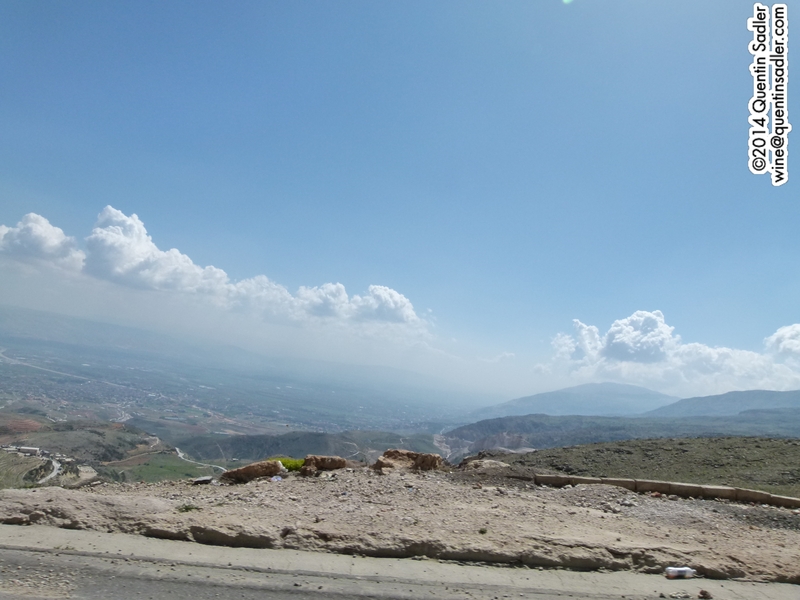 Looking down on the Bekaa Valley – Syria is in the distance. Apart from Châteaux Musar and Ksara, important producers from the Bekaa include the wonderful Château Kefraya, the beautiful Domaine des Tourelles, founded in 1868 this is the second oldest producer in the country, Massaya, Château St Thomas, Château Ka and Domaine Wardy. In recent years some new wine regions have begun producing wines and most of these are higher than the Bekaa Valley. With vineyards planted between 600-1300 metres above sea level, the beautiful southern area of Jezzine is where Habib Karam’s Karam Winery is crafting some very fine wines that show the cooling effect of the climate and altitude – try the Rosé Arc en Ciel and the Saint John. The northern region of Batroun, planted at 400-1300 metres above sea level, is equally promising for cooler climate wines, Batroun Mountains produce a fresh Chardonnay and zippy Riesling that are quite delicious. Me hogging the microphone at the post judging round-table discussion at Horeca. Photo courtesy of Paul Op ten Berg. In Chouf, 800-1100 metres above seal level, south east of Beirut, Château Florentine produce a very promising range of wines including the best Lebanese Sauvignon Blanc that I have tried and their elegant Château Florentine Grand Vin blend of Cabernet, Merlot and Syrah. Ixsir – named for Al-Iksir or Elixir, a secret potion that grants eternal youth and love – produce a very attractive range of wines from a wide range of vineyard sites from Jezzine to Batroun and the Bekaa. Their Ixsir Altitudes wines are good and drinkable, while their Ixsir Grande Reserve red and white are more ambitious, complex and fine. Lebanon’s French influence is very apparent in the varieties they grow. Grapes from the French Mediterranean dominate the country’s vineyards, with most traditional reds being blends that include Cinsault, Carignan, Mourvèdre and Grenache, together with Cabernet Sauvignon, Merlot and increasingly some Syrah too. The white wines, which impressed me enormously are often blends including Chardonnay, Sauvignon Blanc, Clairette and Viognier, but I also came across some decent Riesling and astonishingly good wines made from Obaideh and Merwah, which are both indigenous white grapes. I found much to like in Lebanon and thought the wines were generally very good indeed, with many more high spots than lows. The wineries that I have mentioned all make very good wines with balance and elegance in their differing styles, but there were also some producers who made wines that didn’t excite me quite so much. A few seemed quite old fashioned in style, with little in the way of bright fruit. I tasted some that clearly need more work in the vineyard to tackle the raisining and green tannins, while some wines were volatile or bordering on dirty. None of this is unique to Lebanon of course, I can say the same about almost anywhere and for those producers I do wonder if they should change their points of reference for wine. 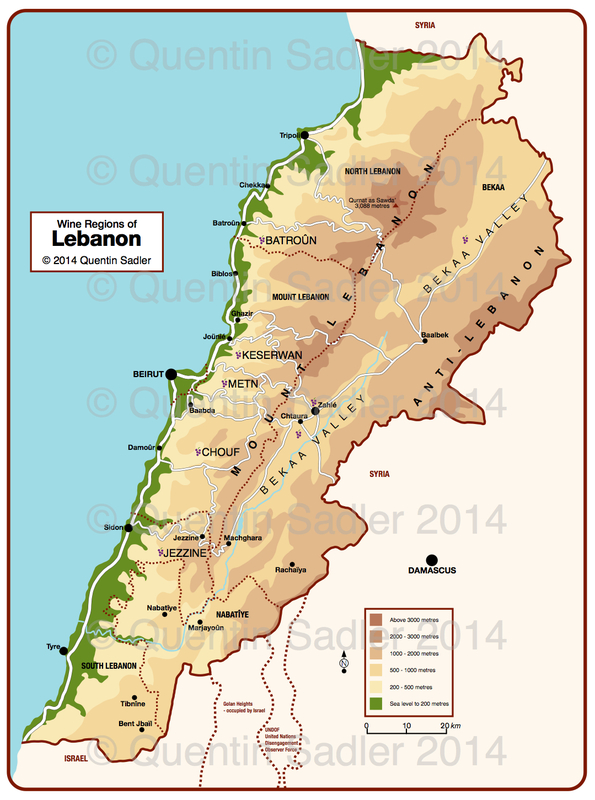 It is quite clear that Lebanon looks to France as its rôle model, you can see it in most of the wines, but I wonder if some of the wines at the lower price points should become a bit less French-centric and take a peek at who else is making good wine in the Mediterranean world. I really hope that over the next few years those producers will look at how places like Spain’s Jumilla – with a similar landscape and climate to Lebanon – have completely revolutionised their viticulture and vinification techniques to produce modern, clean and vibrantly fruity wines at the lower price points. Perhaps the locals would be more easily won over by wines of this type, as well as casual wine drinkers in places like the UK. Recent growth though has been strong and with local and foreign demand both growing the number of commercial wineries has increased from just 4 in 1990 to 47 today. What is more, quibbles aside, they are producing wines that are always good and often very impressive indeed. I didn’t try anything that I did not find palatable and found the vast majority to be very pleasurable indeed. Gone are the days when Lebanon produced wines with mere novelty value to provide a touch of the exotic. These are good quality wines that can be taken on their merits and enjoyed on their own terms. I will be writing more about some of the wineries that I visited very soon, but in the meantime I would urge people to visit Lebanon, it really is a fabulous country full of wonderful sights, lovely people, great food and superb wines. See you at the Horeca Show next year? More information is available from the Union Vinicole du Liban website and for the UK from Wines of Lebanon.